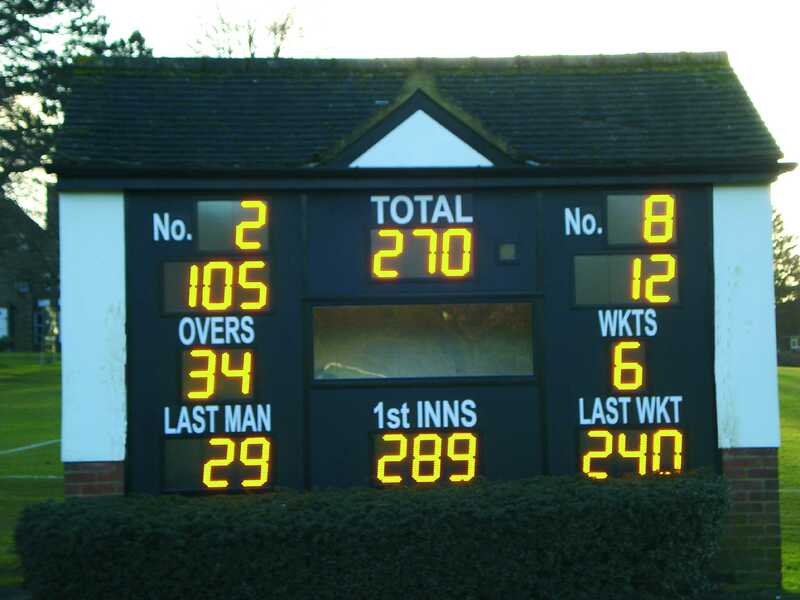 Epsom College decided they wanted to update their electro-mechanical scoreboard installed by ESU in 1995 to LED digits. The first day on site saw the old equipment and fascia removed. Our carpenters then installed a new framework onto which the multiwall polypropylene coated birch plywood panels were fitted. These had been pre-constructed in our factory incorporating apertures glazed with anti-glare polycarbonate. A removable clear polycarbonate scorers window was then fitted and once all the joins had been made watertight it was time to call it a day. On day two, the LED digits were installed and the control electronics and wiring fitted. 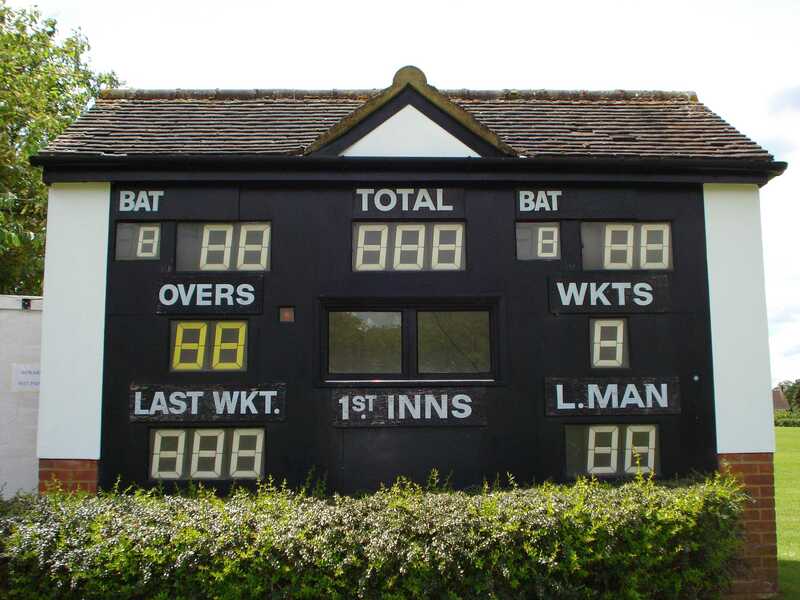 Once the scoreboard had been programmed and tested, the back of the scoreboard was panelled in to protect it. New signboards were fixed to the fascia and after a final check that all was in order we handed over to the college.